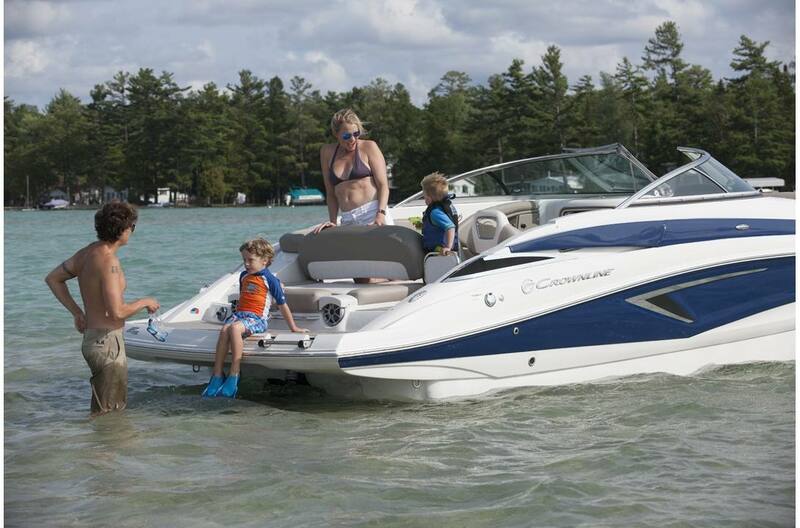 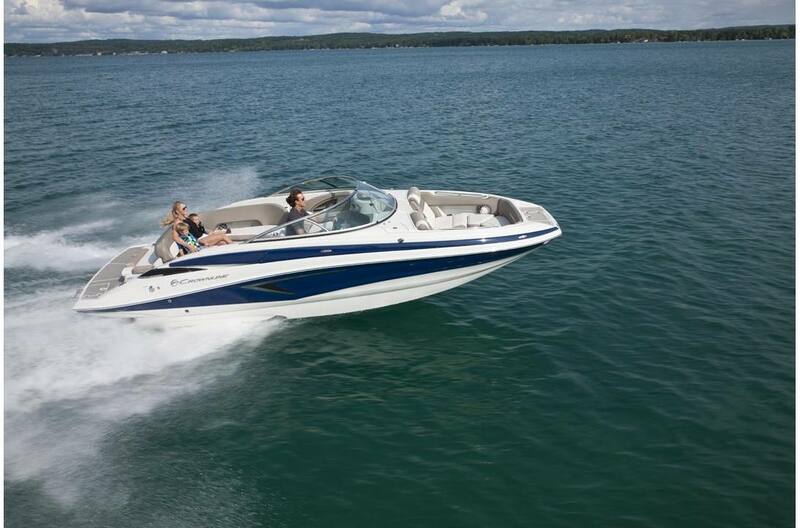 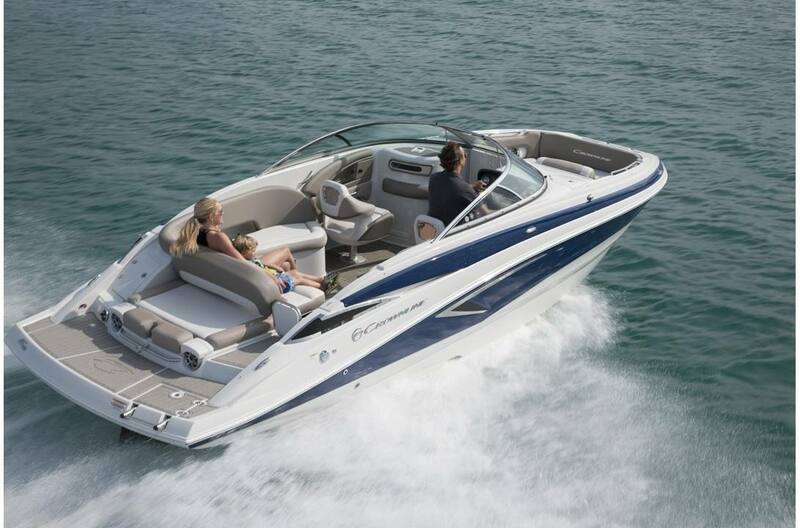 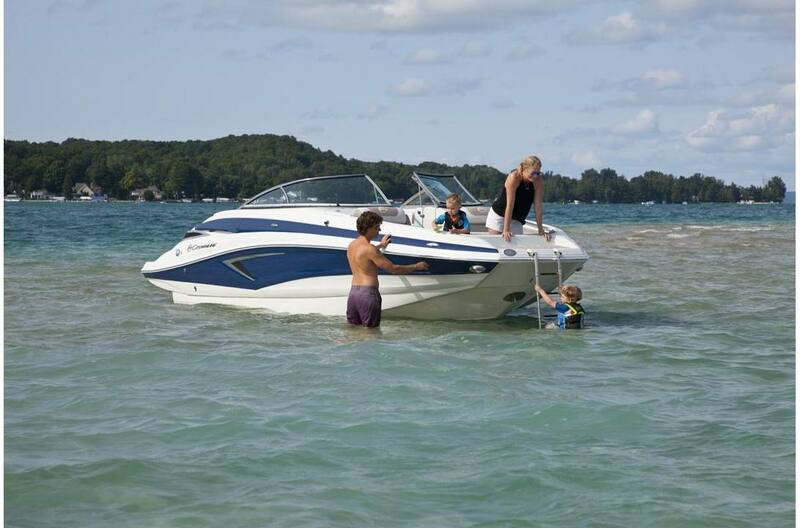 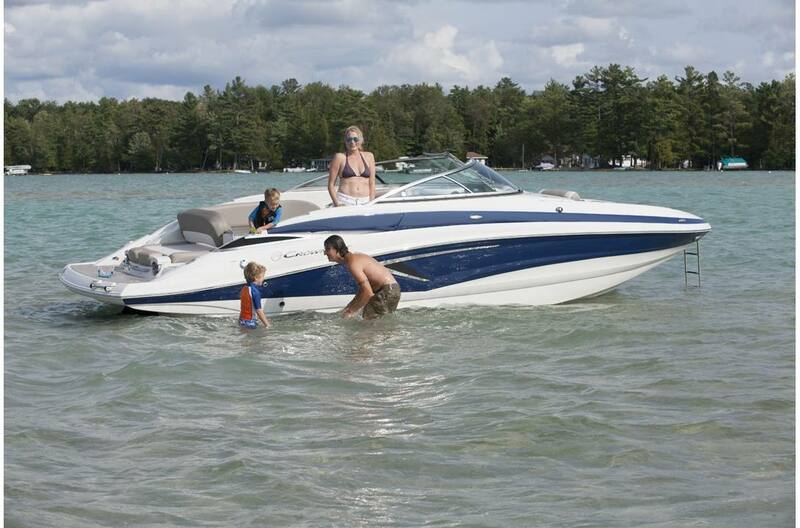 The Crownline Eclipse E 255 (previously named the E25) is perfect for the family that enjoys a multitude of water activities: skiing, wakeboarding, knee boarding and cruising. 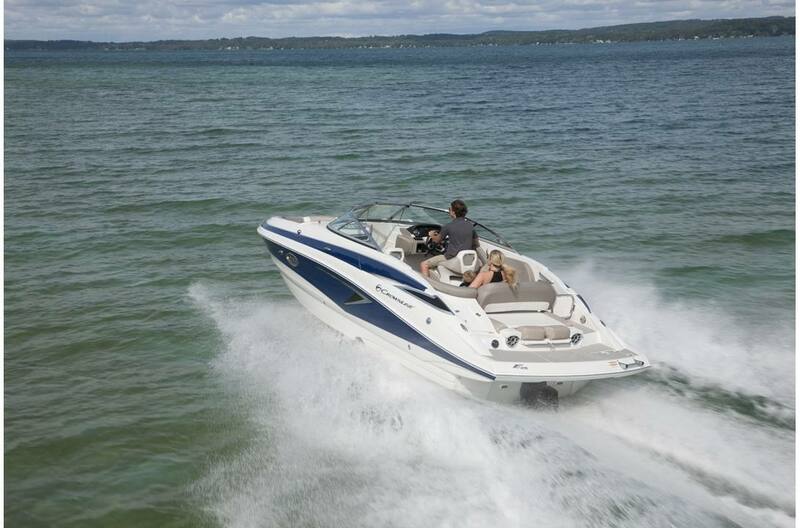 Not a bowrider, but definitely performs like a sport boat! 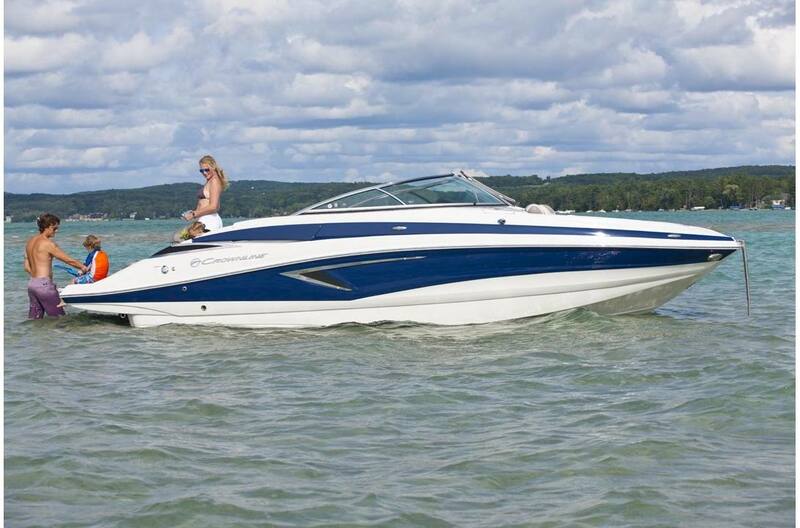 This model, and all of the other Eclipse boats, should be in a class all their own. 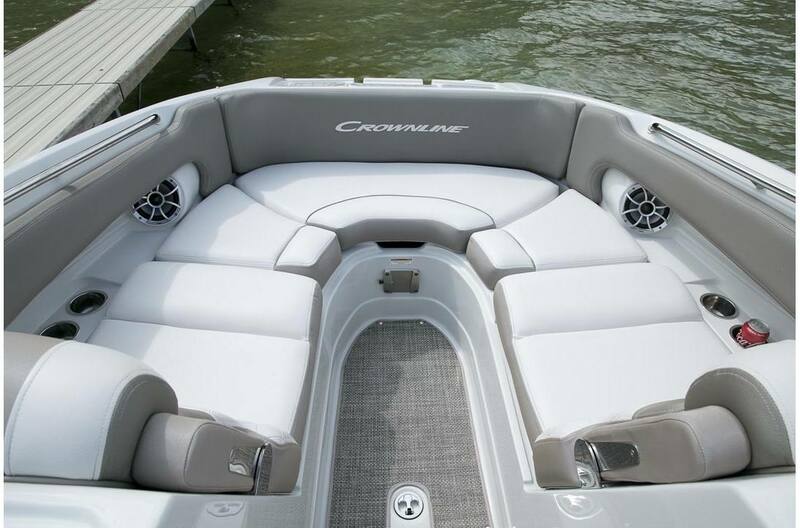 Performance, and style, is enhanced by Crownline's patented responsive F.A.S.T. 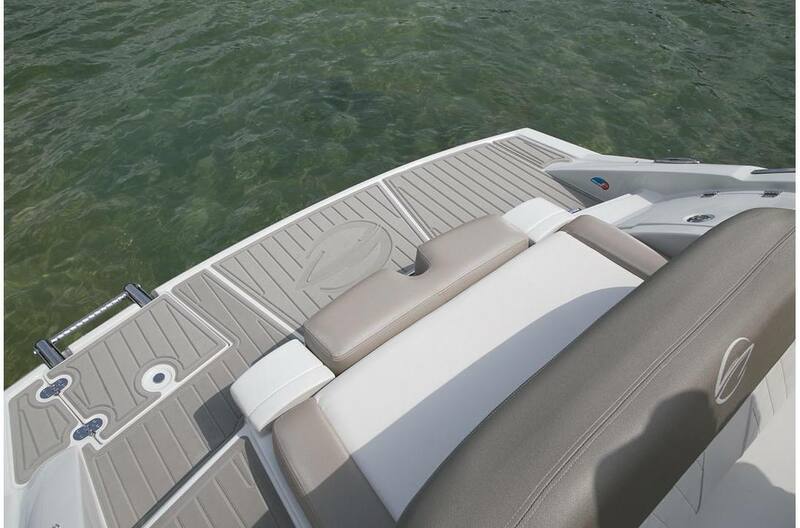 Tab® hull design for a second-to-none ride. 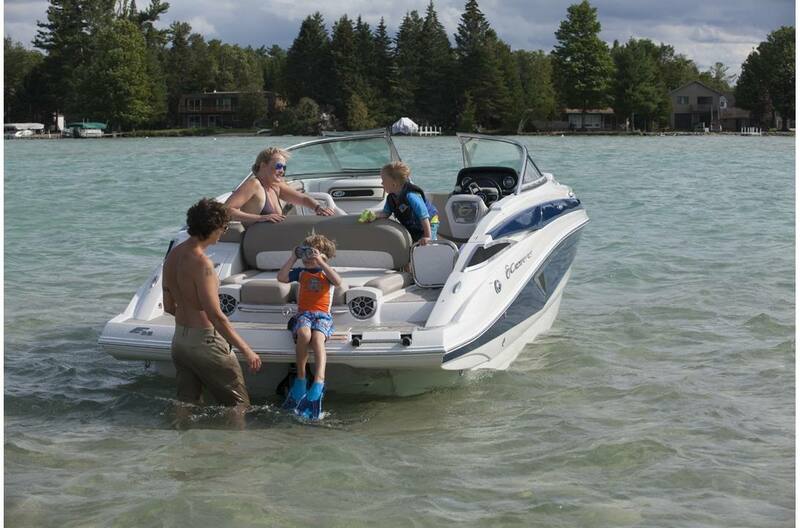 And the E 255 features family-friendly accommodating throughout. 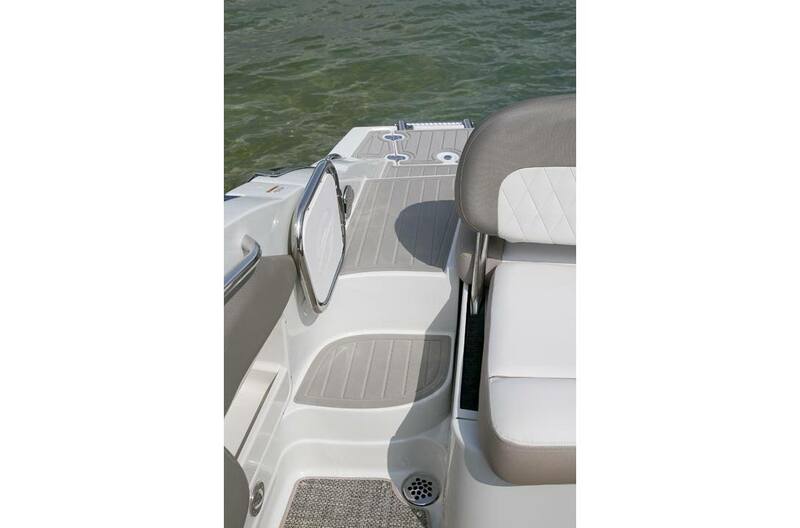 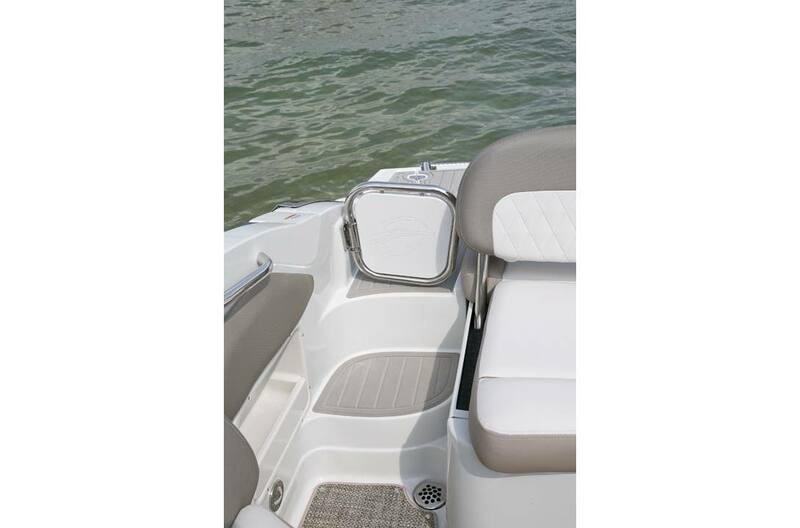 The full wrap around swim platform with soft touch mat, and the walk thru transom make boarding safe and easy. 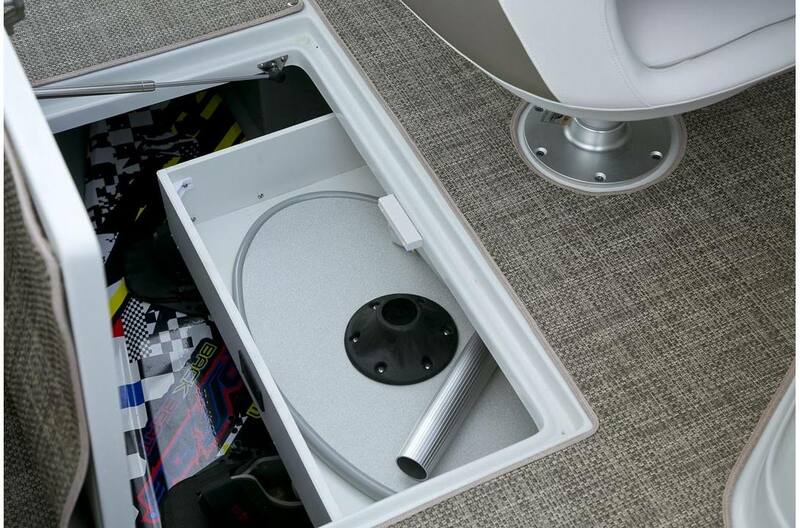 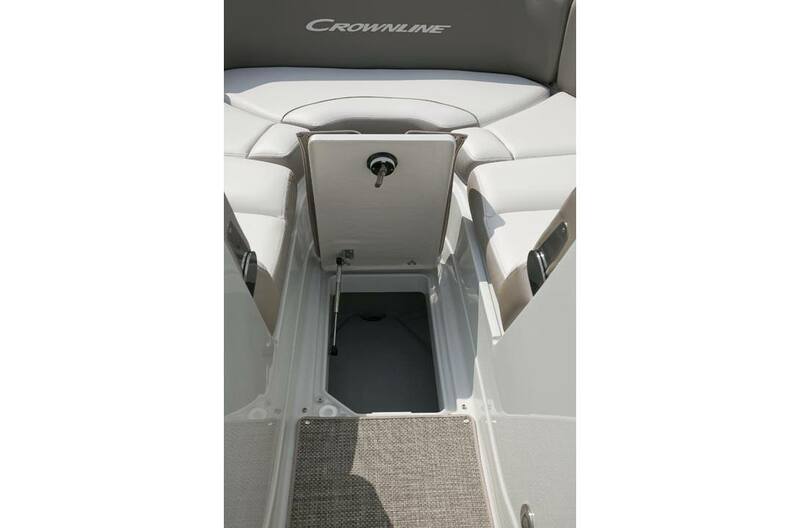 Crownline's trademarked Social Swim™ transom design adds two Wetsounds speakers at the back of the boat (there are six additional speakers throughout the boat, so turn up the Kicker marine stereo and enjoy your favorite tunes)! 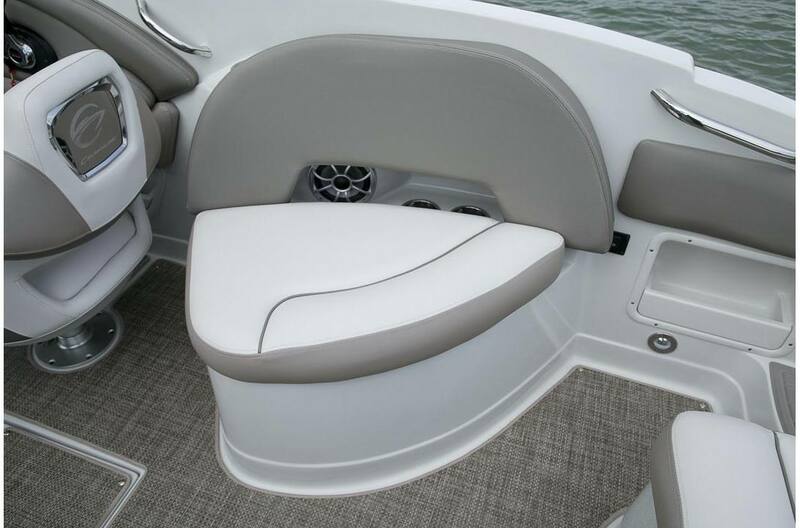 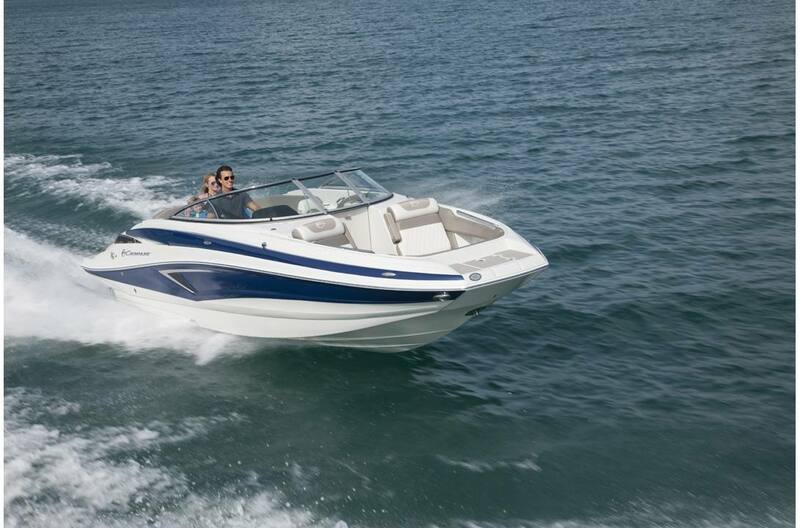 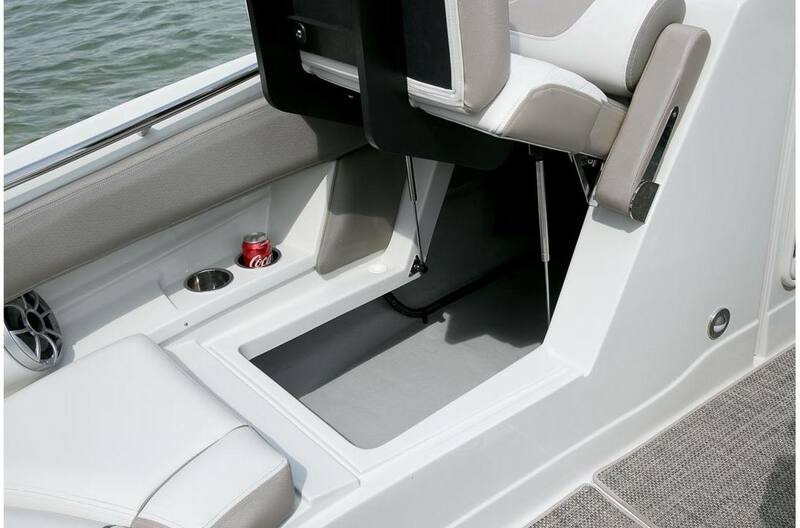 The new E 255 was designed with so much comfortable seating throughout the boat. 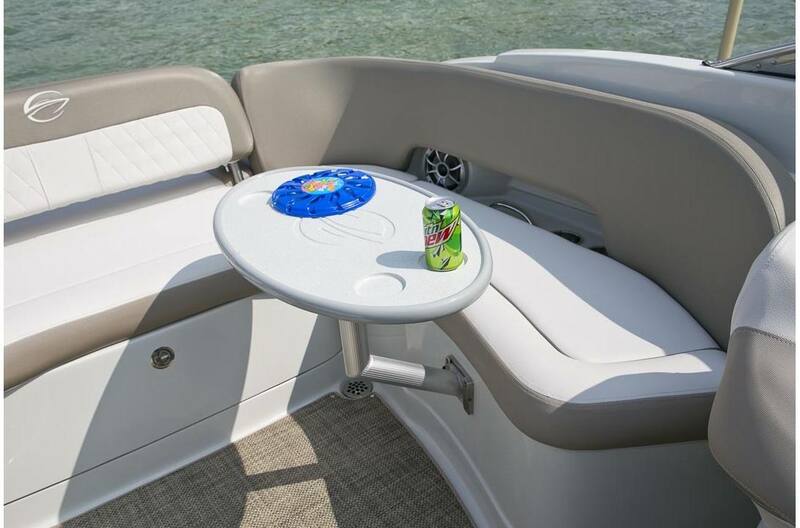 There's an electric lounge seat at aft with a dual actuator for easy adjustment from sitting up to stretch-out relaxation. 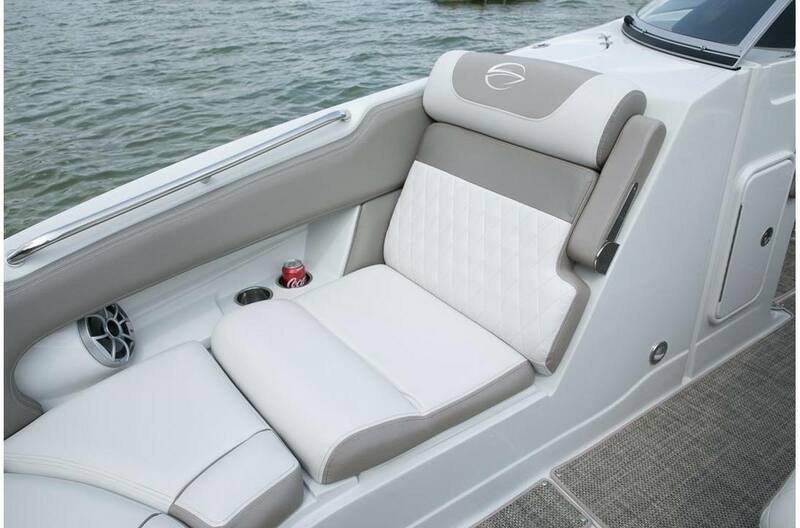 The J-shape cockpit features driver and passenger bucket seats with flip up bolsters and there are “Hot Tub" style seats with standard flip-up arm rests in the spacious bow area. 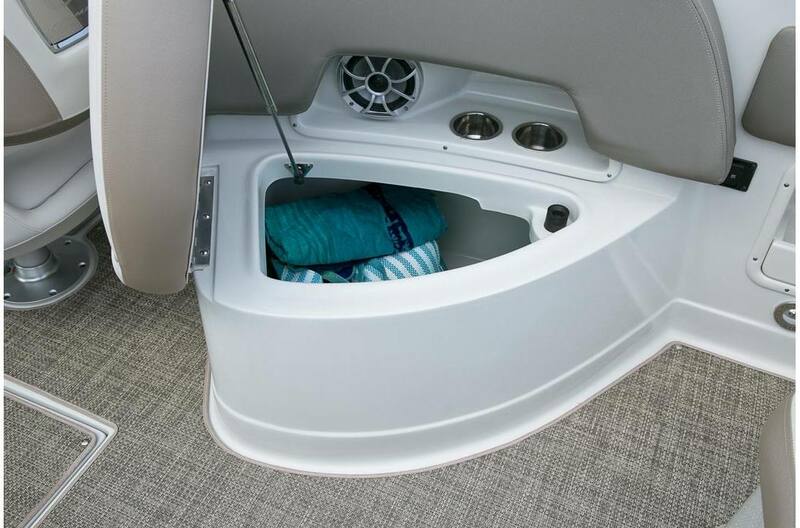 Additional features include a flush fit bow walk thru door, battery charger, bimini top, one piece boat cover, depth sounder, snap-in cockpit carpet, docking lights, dual battery switch, handheld transom shower, LED cockpit lighting, portable table that stows away in the undermount cockpit drawer, and so many more we can't list them all! 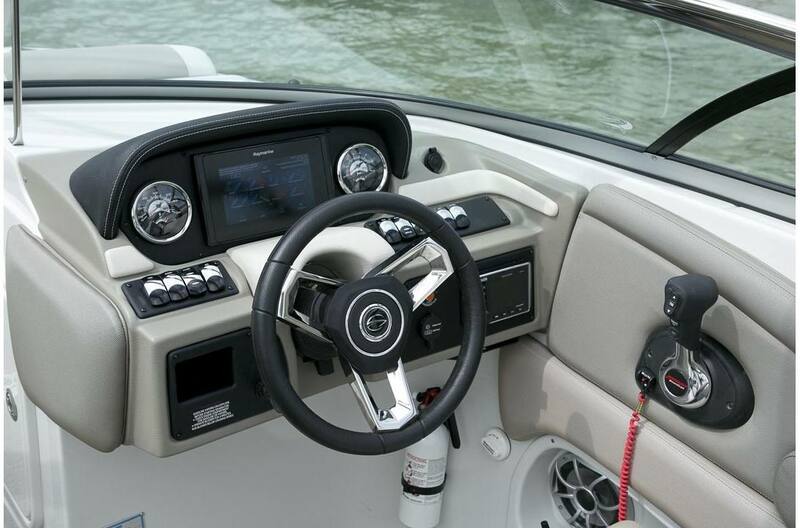 And you can take your new Crownline E 255 to a new lake every week - the Heritage color matched tandem axle is also standard, and features LED lighting and brakes on both axles!